Two stone steps surmounted by stone pedestal with four sides, bearing the inscription. 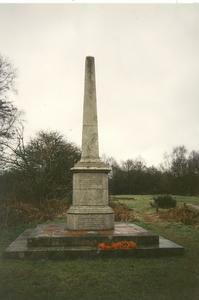 A large stone obelisk is upon the pedestal. The upper surface of the top step is inlaid with red bricks.